If there is an emergency, call us NOW and we will be on our way. When you need an Automotive Locksmith, anytime anywhere. In the hustle and bustle of the city life, it is not far from possible to lock yourself outside of your car, home, or even your office. But if this should ever be you, there is no better place to seek assistance than from a truly professional locksmith Washington DC area. Chiko Locksmith is a highly-recognized agency in the DC area that offers a range of services for businesses, homes and automobiles. Our services extend beyond simple lock repairs to rekeying of all types of locks, installment and servicing of locks and security systems and so much more. What Kinds Of Locksmith Services Are Available? We are well-rounded agency with a team of experienced professionals who are always ready for any kind of locksmith-related jobs. Our technicians are all certified to repair your broken locks, jammed automatic doors, accessing vaults and safes no matter how complex, lock hole installation among others. 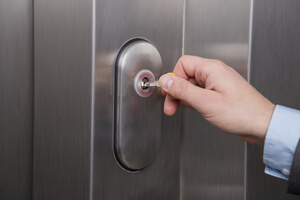 These types of services are classified as commercial locksmith services. We also provide auto locksmith services which covers everything vehicle-related. If you lock your key inside your vehicle we are more than equipped to retrieve it for you without breaking your windows or your door. Whether you have a truck, car or van that has issues with its keys, we can fix it. You might have issues at home with your locks, keys, safes or cabinets as well. Chiko Locksmith offers quality residential locksmith services as well. Your issues might be with your garage door or your vault, or you might just need to change your locks. We are here to repair locks of any kind in your home and can also provide with new durable locks of all types ranging from regular padlocks to heavy duty locks, to magnetic locks, that will keep you and your family safe while at home. For instances where you require emergency assistance, we have a 24-hour emergency locksmith service available to you, no need for a membership. If your keys have been stolen or misplaced call us immediately and we will get to you wherever you are, no matter what time or day it is. We are open and available all day long for 365 days a year. Yes, even on public holidays! If you are stranded, no need to panic or worry too much about your safety because we will arrive on the scene in as little as 20 minutes with all the right tools to get you out of your dilemma. This could be the keys to your home, office or store that you lost, or even your vehicle. We are the best locksmith Washington DC that can quickly get you the replacement you need to regain access. And if your vehicle has sophisticated security system that requires programming, we will reprogram your system to ensure that your new key works well with your vehicle, without any malfunctions. We are a family-based company that knows the importance of safety. Locks and keys ensure this safety in your home, office, car, or store. We therefore pride ourselves in providing high quality locksmith services for all of you who need it, in and around Washington DC. If you require a service check, we are always willing and available to do so for you for your home, car office, or store. We have many years of experience with locks and can assure you that we know what we are doing. We offer our customers all these services at the best rates in town with a money back guarantee! Never feel like you are alone if you get locked out again, we are always at your service.